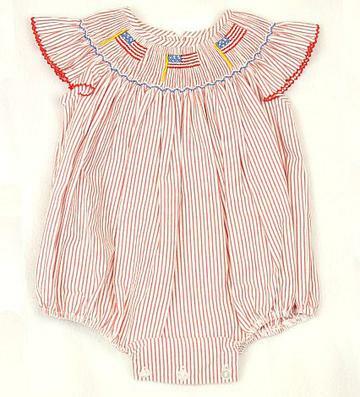 Red, White and Blue! 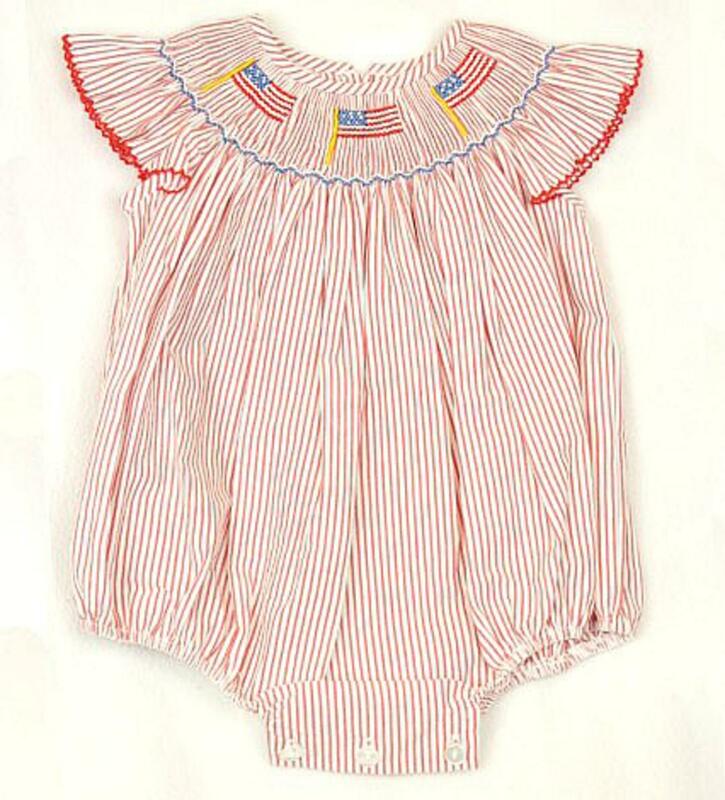 The patriotic red and white stripe seersucker bubble has handsmocking on the neckline with three american flags. There is ruffles on the sleeves with a red trim. The leg wholes are stretchy and there is buttons on the inside to accomodate diaper changes. There is also buttons down the back to get over a childs head easily and this is perfect for the summer weather being 100% cotton.